Are you suffering from back and leg pain? You are probably not yet aware of this, but present designs of the jumping shoes are now used to help recover from joint injuries and relieve back and leg pain and not just for fun. There are things you need to consider before buying one. To help you in choosing, here are some facts and information about jumping shoes and the top 5 best jumping shoes that you can consider buying. 1 What Are Jumping Shoes And Jumping Boots? 5 Are Jump Shoes Safe? What Are Jumping Shoes And Jumping Boots? At first, the purpose of manufacturing the bounce boots for kids is to help them jump and have fun. Most of them are easier to handle. The new jump shoes are now designed not just for kids but for adults as well. The purpose of using the jump shoes had changed when Joe Ruhl the president of Excel Physical Therapy and Fitness in England tested the use and study the effects on athletes who were recovering from leg injuries. He found out that it is easy on joints and helps a person tone his muscles and burn more calories. Because of the benefits, it helps the user Denis Naville, a Swiss entrepreneur, redesigned the jump shoes. He improves the performance, design, and comfort. The present models and features of jumping shoes and boots are the results of these improvements. Jumping shoes today are more comfortable and more comfortable to wear as compared in the past. The jumping shoes are mostly for fun, but unknown to many some people buying the shoes for medical reasons. Here are some of the benefits of using the jumping footwear. Those who are suffering from chronic back and leg pain find that jumping shoes can relieve tension thus reducing the pain. For individuals who are having a hard time getting around, using the boots while exercising will make their physical activity comfortable. Athletes are likewise benefiting from the jumping shoes because of the way they allow them to do their training. For those who are into sports that require a lot of jumping or running like basketball, the shoes can help strengthen the specific core of the leg. This kind of shoes allows focused intensity training by providing a boost. Once the leg muscles are strengthened and the stamina is increased as a result, the athletes will see an improvement in their performance as compared to their usual performance if they are not wearing the jump shoes. Children benefit a lot from jumping shoes. Childhood obesity has increased over the past few years because of the emergence of technology and restricted their physical activity. If you get a pair of jumping shoes for your child, you can encourage them to move a little more. It is a healthier alternative than sitting around indoors all day. There is a significant difference between jumping shoes and regular shoes. Finding the center of gravity in your regular sneakers is simpler. The design of the jump shoes makes finding the center of gravity a bit more like a balancing act. It is somewhat similar to ice skates or roller skates, but your attraction to the ground is much different. While walking with the shoes on, you will have an added bounce in every step you make. Before you start using it in your workout or other strenuous activities, it is best that you get used to it by using it as you walk around. You will become familiar with how gravity and weight feel in every step you make with the shoes. Then slowly build up the intensity. Don’t just wear them and jump like a crazy frog. You might injure yourself. Keep slowly and steady and take time to get used to your jumping shoes. Because of the proven benefits of jump shoes, athletes and health-conscious individuals are using the shoes during their workout. Aside from the benefits, people are having fun using the boots. It can release stress, strengthen your muscles and even help you maintain your desired weight. Some workout classes recommend the use of the shoes while working out. If you search online, you will find exercises video using the jump shoes. To others who haven’t tried the shoes, they might see it as a dangerous thing. The truth is the jump shoes are safe to use. The user’s safety depends on their sense of balance and coordination. However, some designs let the user manage and exert more G-forces, they might pose a possibility of getting injured. Thus, it is best that before you start using it on your regular workout, you should walk on it first. Once you get along with it, you will not have problem jumping. Weight of the user. Check the weight capacity of the boots. Some users are complaining of poor quality shoes, but in reality, it was them who failed the weight capacity of the footwear. You will not get the benefits from jump boots with 176 pounds’ weight capacity if you weigh 200 pounds. Lots of people buy jump shoes made by Kangoo because it is a well-known manufacturer that is popular for providing quality shoes. The Kango Jumps XR3 is available in different sizes small, medium, large and extra-large. The cost of their special edition is a bit higher as compared to the standard XR3 model. You can use this shoes as your workout companion if your weight is below 200 lbs. and your size is within the standard size range. Don’t forget to double check the size of your boots and compare it with the provided information. The sizes are suitable for most adult shoe sizes. Perfect for users under 200 pounds. It is not easy to determine the exact shoe size. If you want to try jumping shoes with the same features as the Kangoo Jumps, you can try this Unisex Fitness Jumping Shoes. 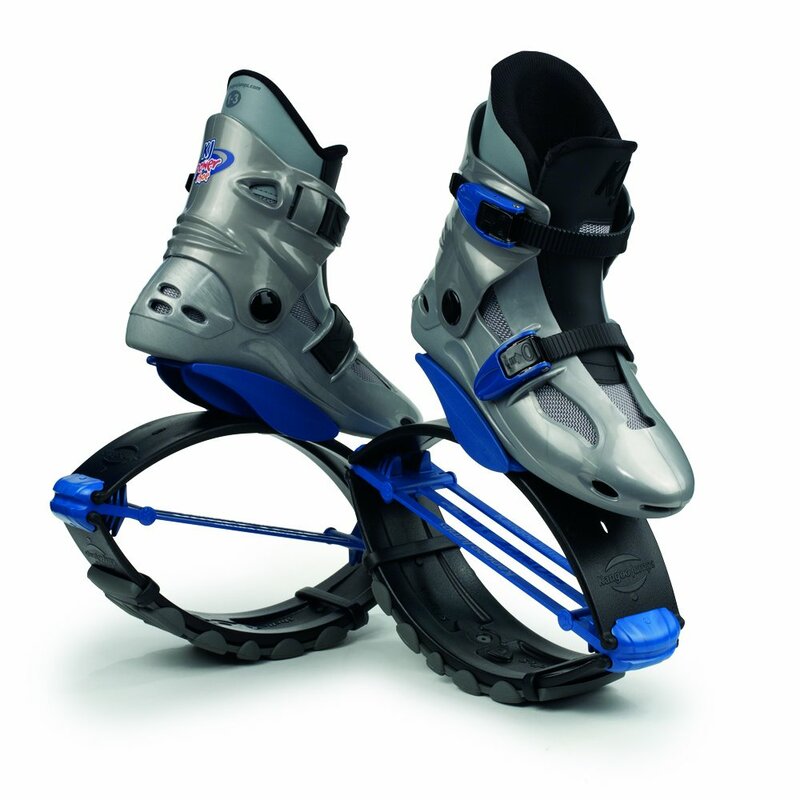 The price is more affordable as compared to the Kangoo Jump boots. However, the only sizes available for jump boots are XL and double XL, for women the available sizes are 5 to 10, while for men the sizes are 4 to 9. The design is as attractive as the most expensive one. These shoes can also achieve the same effectiveness as the original Kangoo Jump boots. This type of boots is heftier as compared to the standard Kangoo Jump boots, allowed for adults that is more than 200 pounds. You are lucky enough if there is a size that will fit you. 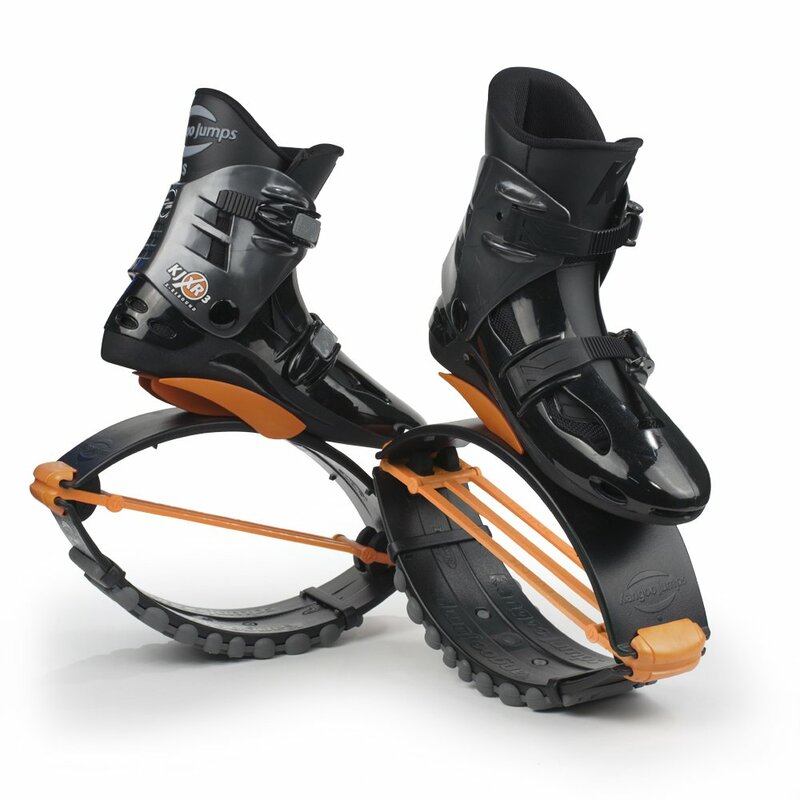 The closest alternative to Kangoo Jump boots. The weight capacity is a bit higher as compared to Kangoo Jump boots. Perfect for joint protection, fun, and fitness. These jump boots are affordable and recommended if you prefer your child start using the shoes while he is still small. You can get a bigger pair when they grow up after a few years. Although the trademarked manufacturer does not make this, the quality and features of the shoes are as good as the original. The maximum weight it can carry is up to 155 pounds. The available sizes for your kits are 2 to 7 for girls and 1 to 6 for boys. The best feature of this brand is its impressive weight capacity, enabling the users a chance to use them without risking that they might break it. If you are looking for an affordable jump shoes for your kits but with good quality, this a good option. Its weight capacity features give a chance for the children to use jump shoes. You can choose from the different colors. It does not have the IPS or the Impaction Protection System. 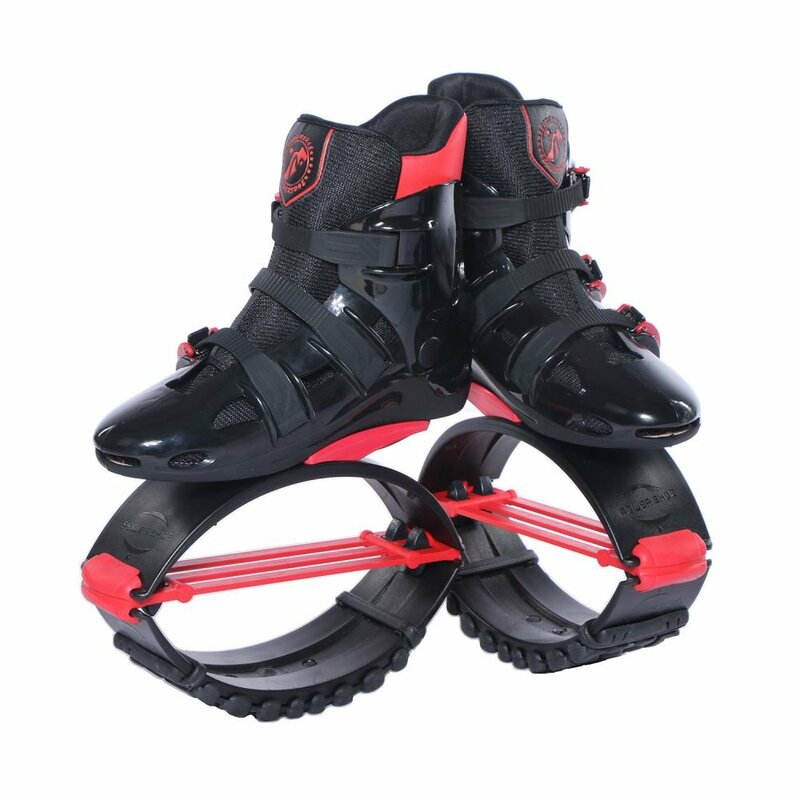 If your kid weighs below 110 pounds and an adult size shoes do not fit him, this is the best pair of Kangoo Jumps for him. These Kangoo Jumps power shoes have the same technology used in the adult sizes. They are just as exciting and fun as compared to adult models. It will keep your kids exercising all day without realizing it. You are aware that Kangoo Jump shoes are not cheap, but if you want the best experience, the price will not matter at all. Keep in mind other companies imitated the brand and sold it at a lower cost. Make sure that you get the original product. Although, some manufacturers were able to create similar features like Kangoo at an affordable price. High-quality Kangoo Jump shoes for children. 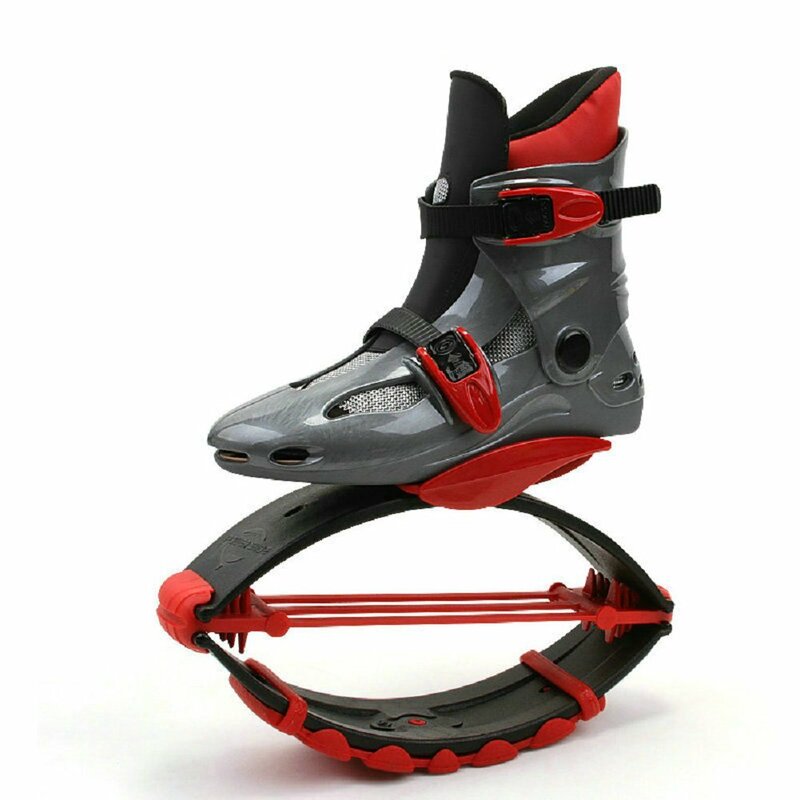 Created by trademarked Kangoo Jumps maker. Shoes are available for standard sizes children. It can carry the weight of most children. Available in colors that suit boys and girls. The size of children and adult Kangoo are almost the same. The Air Kicks Anti-Gravity jump shoes are for individuals that weigh between 99 and 176 pounds. Children from 8 years old and above can use the boots. There are designs and sizes available for men and women. It can fit as your regular athletic shoes and uses the Jumping Jax T-spring patented technology for their base. Usually, T-spring is sold separately, so if you need one, you don’t have to buy new bouncy shoes. The Air Kicks Anti-Gravity Jumping Shoes is available in small, medium or large. The large size has gray and blue color, while the medium and small has red and black. The shoes have ergonomically shaped for better comfort with broader boot design. The new and improved Air Kicks are adjustable to fit perfect the user. Designed for children and adult not exceeding 176 pounds. It uses Jax T-spring technology for a better bounce. Available in 3 sizes small, medium, and large. Adjustable to fit the user perfectly. Some complaint of having poor quality. 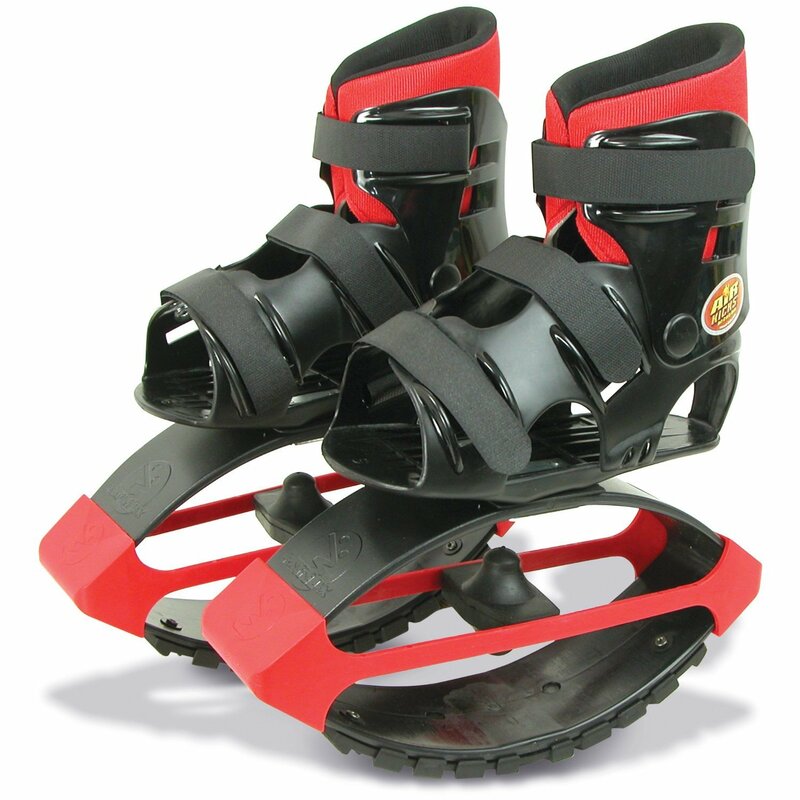 The most recommended jump shoes both for kids and adults are those made by Kangoo. The quality is superb, and the design is attractive. However, you need to have enough budget for it. The best possible Kangoo shoes for an adult is the Kango Jumps XR3 Special Edition. Some brands may be able to imitate the look and design of Kangoo, but they still cannot beat the quality that the trademark provides. If you find this post helpful to you, feel free to share this with others.